RBI Monetary Policy: Once again the analysts and experts opinions are split. However, majority is speculating about a rate hike. Everyone is eyeing the Reserve Bank of India (RBI) with bated breath now. RBI Governor Urjit Patel along with MPC members will be presenting India’s fourth bi-monthly monetary policy for fiscal year FY19 tomorrow at around 14:30 hours. The stage is set, predictions have been made, markets have given their reaction and of course, rupee has continued to fall. There is panic everywhere especially among investors, which is why, today, they removed massive amounts of their money from Indian markets. The Sensex finished at 35,169.16 down by 806.47 or 2.24%, while the Nifty 50 closed at 10,599.25 below 259 points or 2.39%. Meanwhile, the Indian currency has ended at 73.58 per dollar at interbank forex market, this was after it touched yet another low of 73.81 in morning trade. The bloodbath in markets is a roar for ‘no rate hike’, while the weakness in rupee claims for urgent need for a ‘rate hike’. Once again the analysts and experts opinions are split. However, majority is speculating about a rate hike. This is despite the Consumer Price Index (CPI) inflation easing for second consecutive month. Some key checks: RBI has hiked the policy repo rate by 25 basis points each in June and August 2018 policy, taking the rate at two-year high of 6.50%. The last time India witnessed this rate was in April 2016 policy. Moreover, the reverse repo rate now stands at 6.25%, while the marginal standing facility (MSF) rate and the Bank Rate to 6.75%. RBI is an inflation trajectory central bank, which is why, it harshly increased policy repo rate on the back of headwinds surrounding CPI. Some of the factors that RBI fears are - sticky core inflation, MSP hike, HRA allowance, household inflation, commodity prices, monsoon, crude oil, fiscal slippage, volatility in global and financial markets. For latest August 2018, India's CPI or retail inflation came in at 3.69% during the month of August 2018 lower compared to 4.17% of the previous month. However, the latest number was slightly higher compared to 3.28% in the same month of previous year. Meanwhile, India's Consumer Food Price Index (CFPI) stood at 0.29% in August month compared to 1.30% in July month and 1.52% in August 2017. Looking at the CPI numbers for latest month, it is very common for markets to expect a status quo this time from RBI. However, majority of them still believe a rate hike is on table in tomorrow’s monetary policy. 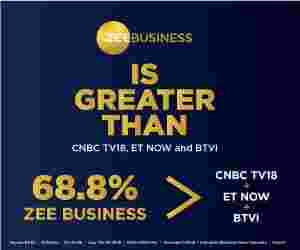 A poll carried out by Zee Business revealed that 70% expect a rate hike of 25 basis point, while 30% favor a status quo and 0% hoping for 50 basis points hike. Thereby, rate hike weighs heavy in experts opinions, however, one needs to put a question - is there any way or any reason that RBI may actually opt for a status quo. Motilal Oswal explains the case for a status quo. With the headline CPI-based inflation beating market expectations for three months in a row, the broking firm has revised down its full-year FY19 forecast from the earlier 4.5% to 4.1% now. Also, food inflation has remained extremely subdued keeping all fearful factors to fuel inflationary pressures—huge increase in MSPs for Kharif crops, crude oil prices, weaker INR etc. – at bay. Going ahead, while inflation has been beating expectations on the downside, foreign trade deficit has been beating forecasts on the upside. With monthly trade deficit averaging $16 billion in the first five months, FY19 is the third worst year—after FY12 and FY13. Furthermore, there are three major events that can take place in fourth quarter of 2018 (Q42018), which creates another case for status quo, as per Motilal. Secondly, three major states – Rajasthan (RJ), Madhya Pradesh (MP), and Telangana (TG) will witness assembly elections in this quarter, along with two smaller states – Chhattisgarh and Mizoram. The results of these state elections could set the tone for the general elections to be held in May 2019, and hence the market as well. Finally, the RBI may have to continue with open market operations (OMO) purchases more aggressively in the remaining FY19 and resist any rate hike calls. This along with fiscal credibility may bring down bond yields. Growth, however, may have to be sacrificed. Well, all has been heard and witnessed, but the trigger lies in RBI's hand. There have been instances, where Governor Patel has surprised markets beyond their thinking, and hence, tomorrow's policy will be that much more keenly watched.